As a student of Staffordshire University, I often heard my lecturers talk about how important it was to take every opportunity you can to network with others, whether it is with students, lecturers or guest speakers. This is partly the reason I entered a business competition at the university called Willingham’s Winners. This event is where I met one of the judges, Mark Blackhurst. Mark is the director of a digital marketing company called Digital Next. A few months later and on summer break from Staffordshire University, I am working with Mark on a summer placement at Digital Next and was asked to attend an event at Wilmslow High School. This was a networking event hosted by the High School where many local businesses were invited including Digital Next. Digital Next is involved with the school as it helped to create the Business Partner web page – you can check the website out Here! Being a first timer to a networking event, I was expecting to feel like the odd one out, but this wasn’t the case. After entering a hall of complete strangers, it was clear that everyone was welcoming and ready to network with other members of the event. Headmaster James Pulle made a quick welcome speech about what to expect before setting a challenge for all the members; to simply split from the group of people you know and move to talk with some strangers you have never met before. After hearing this Mark Blackhurst and Jade Merabi (Digital Next’s Strategy Manager) who was also at the event, headed off in different directions to start networking. Setting an aim to talk to 5 other event attendees meant there was a clear objective for everyone in the room. It was surprisingly easy to join other groups as everyone would make room for you to join as well as acknowledge the fact you had become part of the group. It was clear very quickly that there was a wide spectrum of different types of businesses attending the event. Within the first group of people were members of businesses ranging from private car hire, business card manufacturing, and a local law firm. Each member had a unique story to tell and would happily talk about what their business does. After a 10-minute discussion within this group, the members started swapping business cards with each other and then the group started to disperse into the crowd to find a new huddle to join. At this point, many members of the event had noticed the very fancy food stand located on the right side of the hall. The food stand was manned and prepared by Chartwells. Clearly, a lot of effort had not only been put into the food itself but also the presentation of the stand as it was very professionally laid out. I had a good chat with a few members of the school’s 6thform students who had just finished their studies. The three students were all very positive about their experience at the school and had big plans for the future. They had decided to attend the event to gain some public speaking & networking experience themselves. For the second part of the event we listened to speeches from the Business Partner Programme organisers, the head of a local law firm and lastly from Conservative MP and Secretary of State for Work and Pensions: Esther McVey. The speeches were all themed around the same key aspect and this was the importance of inspiring & supporting the next as well as future generations of students. Even though each speech was trying to get the same message across each one did so in its own aspect. The first speech was from an education point of view, the seconds from a business perspective and the final speech was from a political viewpoint. Overall it was very well structured and gave some perspective that otherwise may not have been considered. Once the speeches were over there was a 15-minute period as attendees slowly dispersed out of the hall to head home. For some of these members, this was a mad rush to catch the end of the last world cup game of the day. Looking back at the event, although I was uncertain at first, I now fully agree with a comment made by Jade Merabi just before we left, that these events are very enjoyable and you should attend any and all that you get the chance to. I can see now why he is keen to keep attending events like this one. The event helped to teach me the importance of networking and networking events for all types of businesses. These events are prime for picking up new clients or learning about other industries by talking to experienced members of businesses in that industry. There is a wealth of information as well as opportunity if you’re willing to get stuck in and meet new people. While these events are great business opportunities they are also important for your own development for skills such as communication and public speaking. You never know, these events may also have a social impact as I experienced after unexpectedly meeting one of the ex-student days later in Wilmslow. 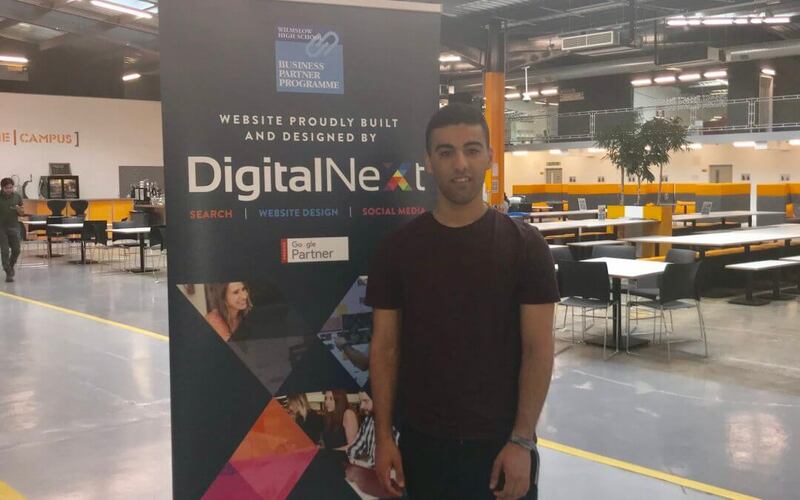 For me, this was one of many experiences I have had already during my short time at Digital Next which has shown that my Lecturers at Staffordshire Universitywere right about the importance of Networking. It has increased my scope & perspective and I will be able to use what I have experienced to further many of my future assignments at university. I would encourage any students to attend events like this if they get the opportunity.